I bet if you asked a 10-year old today if they knew what surfing the web was, they would rattle off at least 5 different online stores. Ask them again what window shopping is and they will probably give you a blank stare. The true appeal of window shopping is being able to wander around the store fronts gazing at their displays while hanging out with your friends or holding hands with your partner. It is a true bonding experience. If you are so inclined you will enter the store and if you are even more interested, actually buy something. The window displays act like a beacon to lure you in to see what goods they have inside. 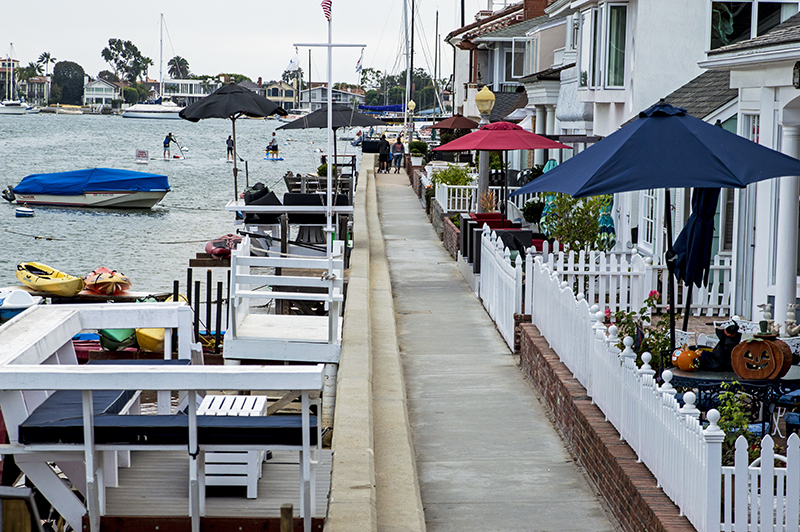 Marine Avenue on Balboa Island is all of that. 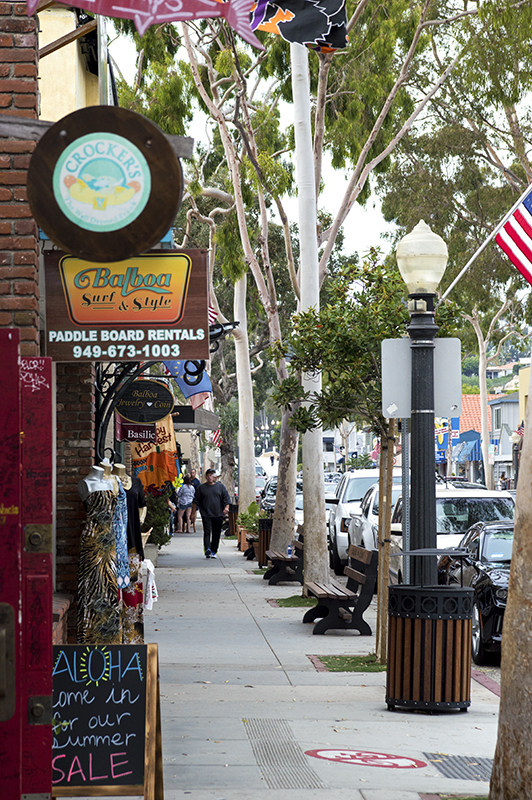 It is a long street filled on both sides with a vast collection of novelty shops, antique stores, restaurants, surf shops, clothing boutiques, dessert stands, bakeries, and much more! It is all there for your window shopping enjoyment and of course buying pleasure too as I am sure the store owners are hoping. 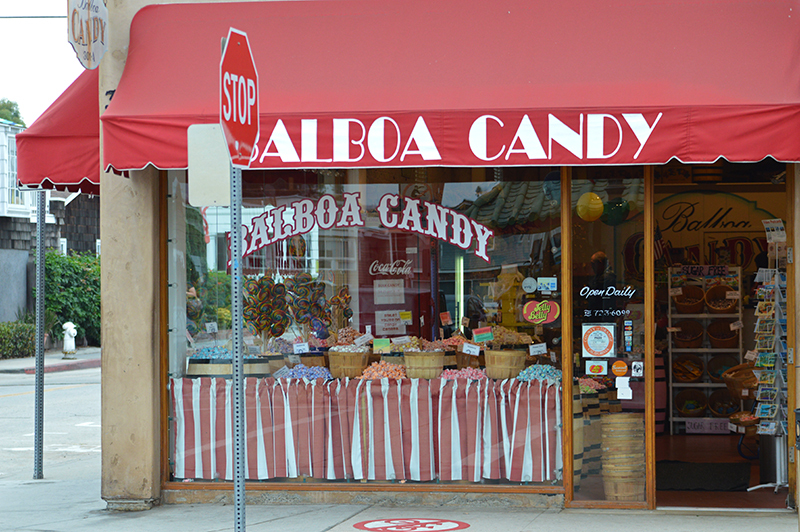 Balboa Island itself can be only entered a couple of ways. One way is by taking the lantern filled bridge that drops you right off into Marine Avenue. The second way is to take the four minute-or-so ride on the ferry boat from the Newport Peninsula. The Island is mostly homes with the exception of Marine Avenue and a few stores over by the ferry landing. It is a great place to visit for the holidays as at least 75% of the homes decorate. Plan the day to do lunch and then the rest if the time to enjoy the unique shops situated on the route. 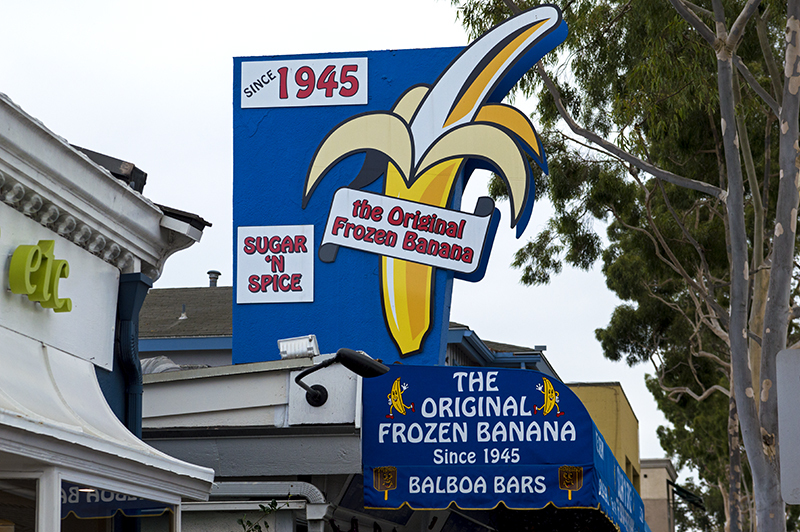 There are quaint restaurants on the Island that serve up all sorts of cuisines and you must save room for dessert as Balboa Bars and chocolate covered frozen bananas have been mainstays here for well over 70 years. They allow you to pick your toppings and for me, chocolate sprinkles on a Balboa Bar are the only way to go. 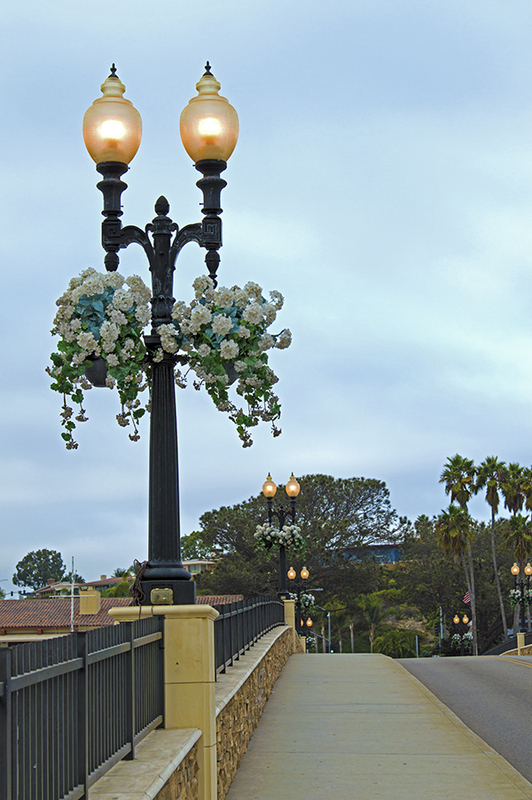 Balboa Island can be accessed off of Pacific Coast Highway near Jamboree Road in Newport Beach or as mentioned, from the Newport Peninsula side via boat ferry. A sidewalk winds all around the island allowing for a leisurely and scenic stroll. At low tide in some areas, there are actually small sandy beaches where you can sit on the sea wall to enjoy the crisp sea air or to watch all the boats pass by. Personally, I like to mosey around and look at the homes especially during the holidays. However, on this gray and overcast October day I decided to meander about the shops and do what I don’t usually do…window shop. I didn’t go into a single store except when I was duped into entering one to try some anti-aging cream. There I sat in the chair thinking, ”How did this happen?” As the smooth and, I am sure, expensive cream was applied, I was planning my escape. Fake buzz of the phone worked and off I went to ponder whether to get a Balboa Bar or not. The answer was no as I looked in a window to check out my reflection in the hopes that I looked years younger as promised. I couldn’t tell. This needed a closer inspection. In fairness to the shops, if I wasn’t doing a story, I would have taken a lot more time. I would have stayed for lunch and gone into a few stores to maybe even buy something. That is for another day. So the fine art of window shopping is still alive on Balboa Island. It is a perfect place for a leisurely afternoon of lunch and retail therapy. After all, you CAN go into the stores. If you see something you like in the window, buy it!! After all, doesn’t that keep our economy strong? As for me, I checked out my face a little closer in the mirror of my car and to my surprise, my one eye did look smoother. Or was it my imagination? Maybe I should go buy some cream after all or even stop and get a Balboa Bar while I’m here. I decided to hit the road and save a few dollars and pounds. 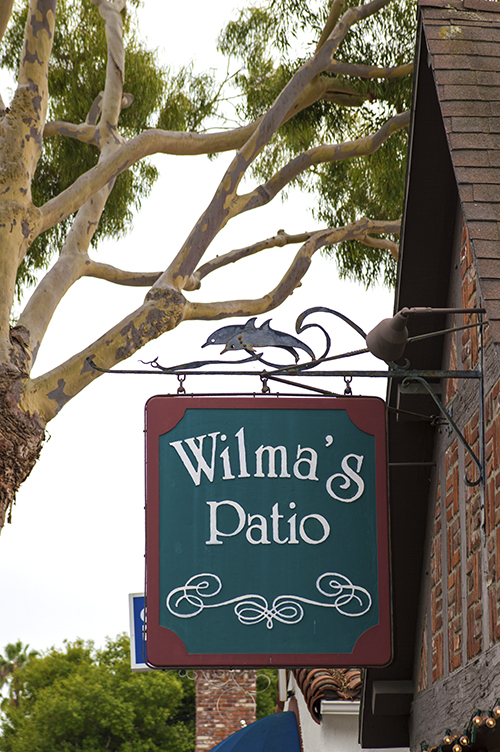 Until Christmas, Balboa Island…I’ll be back.